Well if you are a cowboy and living out in the old west then you have to know a few camp sites. 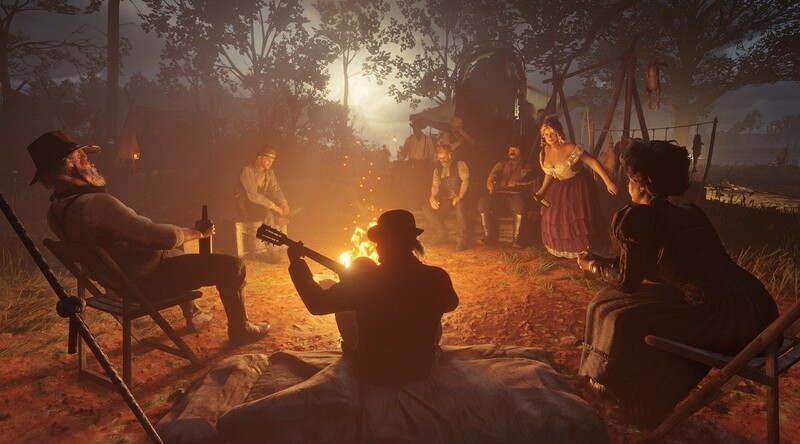 Meeting old timers with the guitars, camp songs, fire places with a kettle on top and of course a notorious outlaws around the camp site. Red Dead Redemption has a gang camp that is like a small town and you better learn all about it. 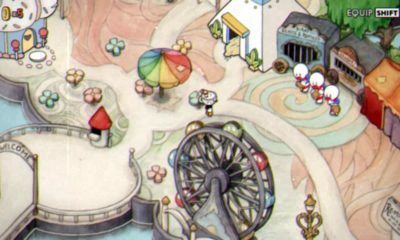 Camp are available once you reach the 2nd chapter of the game but it will be pretty basic, so you are going to have to unlock more features and attractions. All of it will come in time as you progress in the story and purchase relevant upgrades. Now you can save money and only get the things that you want, but I’d suggest that collect money wherever you can fully upgrade the gang camp at some point. 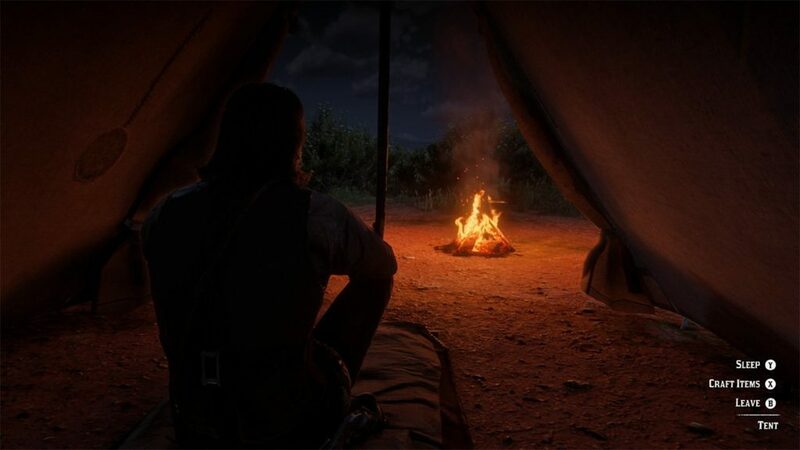 Returning to the camp on a regular basis is a good idea, it allows you to pick up new tasks, rest up a little, restock supplies and also improve the camp itself. 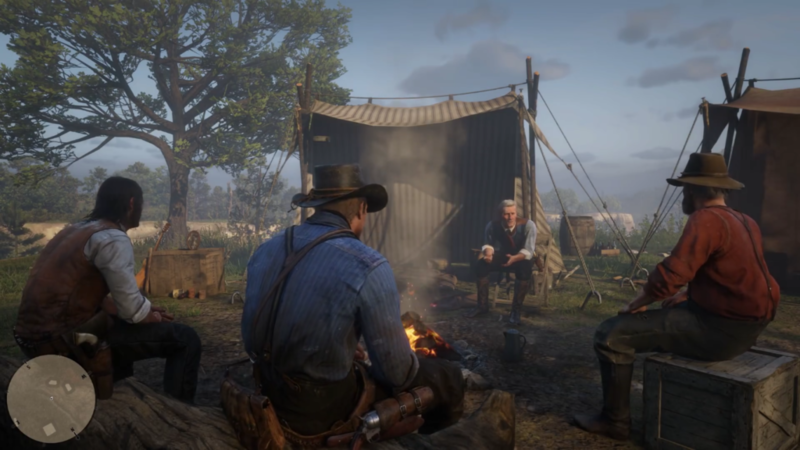 While in camp, you can pick up tips about potential quests or places suitable for a heist or a robbery. You can do all that by making some friends around the camp. Get to know other members of the gang and they will give you information. This is going to help your need for cash a whole lot more. Who says there is no honor among thieves, well there isn’t but in RDR2 there is an honor point system. 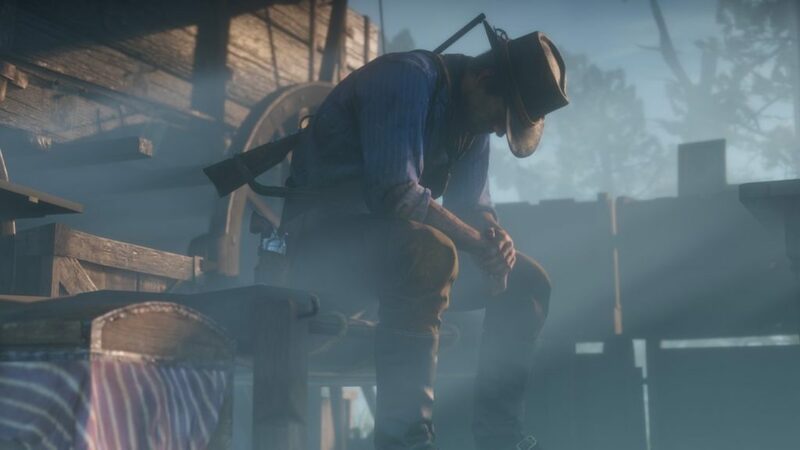 Honor points are a speedy way to improve Arthur’s stats and these points can be earned by doing odd jobs around the camp or chores if you will. One of the most common task around the gang camp is moving heavy stuff (bags) around and in return you will get honor points. 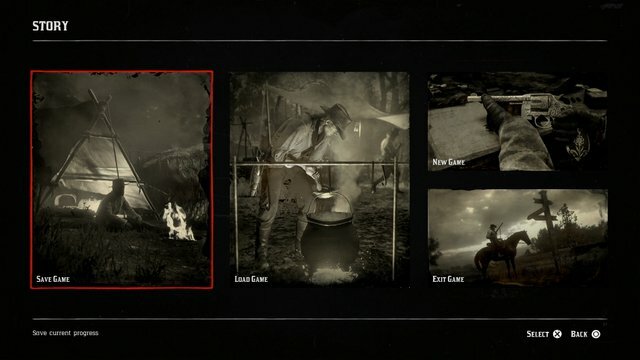 In the open world game system your camp won’t move but you will have to go far far away requests and missions, and when you do that you can set up a mobile camp. 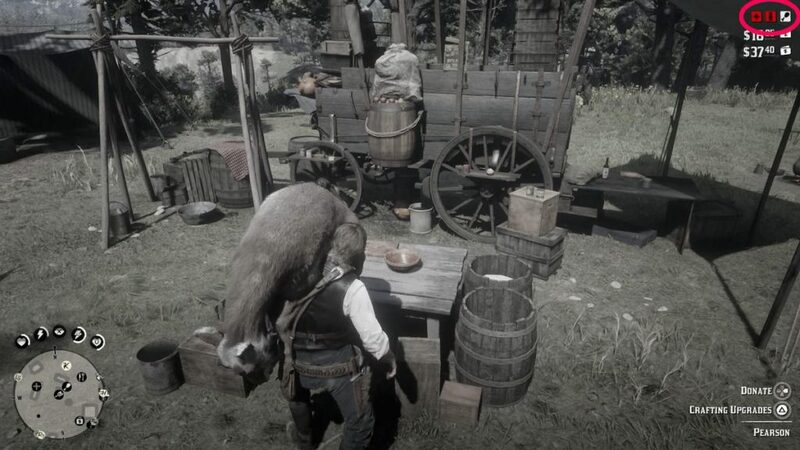 This allows you to rest or cook something, another important thing that a mobile camp does is that it spawns a horse in case yours gets stuck. There will be many instances where you will end up losing your horse in a ditch or behind a rock anyone after whistling to call it, it won’t show. mobile camp can get you brand new horse assuming that your amount is within the range off the whistle. Changing the time of the day for some missions’ requirement or if you simply want to travel at a specific time of day then you can do that I simply going to bed in camp. There are some activities that are suitable for the daytime for instance hunting. Hunting at night has its disadvantages although if you are a veteran gamer it’s not going to bother you but if you are new at this that is going to be quite challenging. Simultaneously there are other work that is more suitable once the sun is set. Sneaking into a gang camp, or gang hideout during the day is a bad idea. 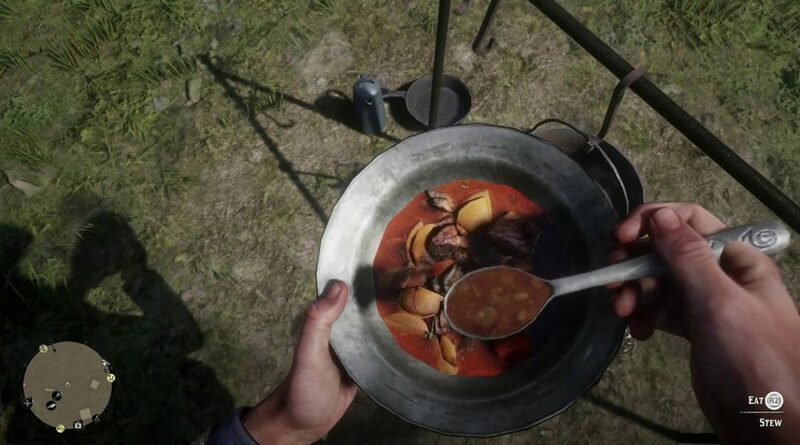 Gang members are going to ask you to bring food to the camp, I mean you can’t be an outlaw on an empty stomach but you don’t have to since nobody in your camp is going to die of hunger. There is always food and in there and plenty to drink. 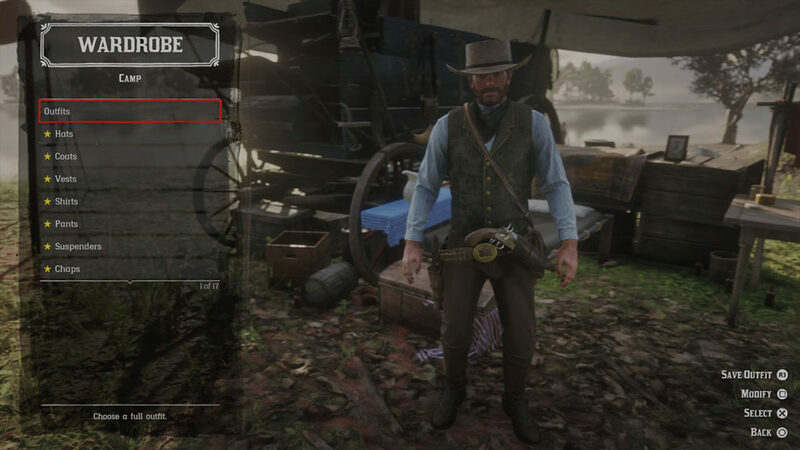 As an outlaw you’d want to change your look over and over again besides every gamer likes their character to be different from everyone else can you get to do that in the camp. Changing clothes is not simply for aesthetics or a vanity for that matter it is a practical thing to do. Matching your outfit 2 weather conditions or surroundings games you a reward by the game. As in the earlier chapters of the game you will be in locations with lower temperatures so obviously, you’re going to be wearing lots of layers but later on in the game you will arrive in areas with higher temperatures so of course the letters will come off. You will also be losing a lot of your hats but don’t fret because you can always find new ones in the wardrobe at the camp. 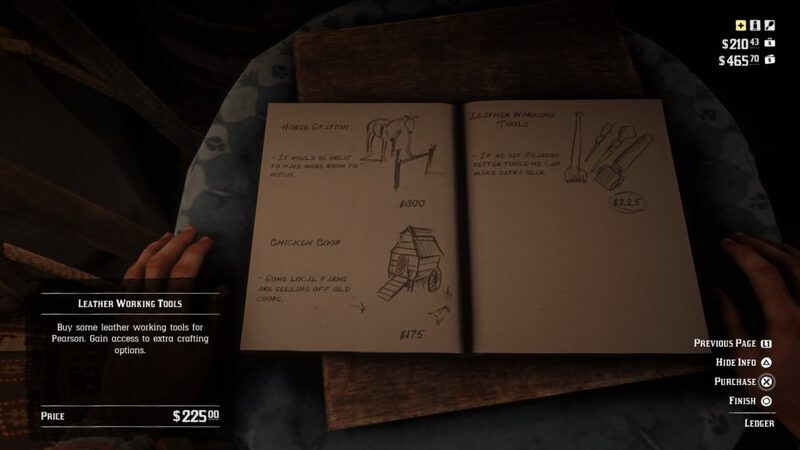 You can buy new clothing items or wearable accessories from stores and they become part of your inventory at the camp. 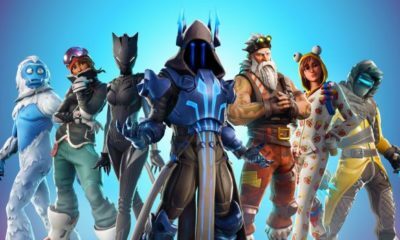 Camps are a good way to save the game, especially mobile camps. 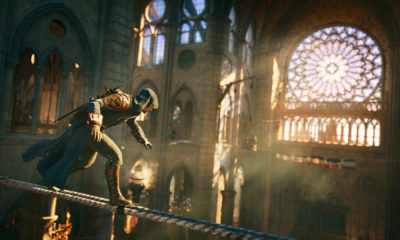 When you are out and about and far away from the base camp, you can easily save progress by setting one up and log out of your PlayStation, and restart right from there. Manual saves are not required though because as soon as you set a camp up, auto save kicks in and does everything for you.